I'd like to have a laptop for mainly programming, office work, LaTeX and browsing the Internet. I will primarily be coding in Java and Scala using IntelliJ, so that requires a decent amount of CPU power, RAM and a fast SSD. In the course of writing this answer, I realized this price requirement might be too harsh to allow for the other requirements. Planned (personal) years of usage: at least 3-4 years. Hence, it should be a reasonable work machine even in 3-4 years, and should have a decent processing. I use external power supply almost always anyway. I don't have a clear opinion on "touch vs no touch" and "convertible vs ordinary laptop" yet. The price is probably the limiting factor in both points. I'd accept secondhand and second-class laptops, given that they match the requirements, of course. Laptop for front-end development: I suppose front-end development needs less performance than JVM-based development. notebooksbilliger.de (German site): after filtering for my requirements, only one HP laptop with >= 1200€ was left. "The best laptop 2019: our pick of the 15 best laptops you can buy this year": many laptops there violate the price requirement. Laptop Finder 2019: the found laptops either violate the weight or performance requirements. Actually I use LG gram 15z980 to write this answer. I recommend the 15'' version since it has number pad, convenient when entering a lot numbers. Enough for latex, I also use TeXStudio every day. You could add your own, much cheaper. That's due to your price requirement, but you could add your own SSD and RAM to it, too! I also bought the cheapest version and added another 500 GB SSD and 8 GB of RAM. 1 USB C, 2 USB 3.0. So at least two USB type-A ports. Battery is very very good: 21.5 hours according to the page. I bring it to school everyday without charger. It has Windows 10 Home. Now I use Ubuntu 18.04 on it for better coding, the only drawback is the fingerprint sensor which doesn't work under it. All other things are fine. It's light and without a dedicated GPU, so you could foucs on office work, LaTex, Java coding (for me it's Python) etc. Note that the Lg gram 2019 version is on its way (CPU+10% approximately, all with Thunderbolt), but it depends on you. From my perspective the 2018 version is enough. It may save some money to buy the 2018 version when the 2019 version gets released, though. I'm not sure about that. I noticed in your profile you've marked your location as Germany. This is going to make things a little harder. This is the best Laptop I can fit under your price constraint. I've tried my best to minimize performance/usability impact for software engineering. The i7-8750H is in the top 95th percentile for S-Core points, which makes it unusually fast for single core performance form a statistical standpoint. I currently use a i7-6700K with Visual Studio, C#, and Resharper smoothly, all of which are orders of magnitude heavier than your Java setup. I also like to compile executable's to my RAM disk and still don't max out my CPU. You'll have a 128 GB NVMe SSD, and a 1 TB hard drive. If you're only using this for office work you probably won't have too many games on it, so you should be good on that front. As an MSI owener I can tell you the hard drives are pretty decent, at least faster than the HDD that are shipped with U series Intel processors that grind laptops to a halt. If you completely fill your SSD and find your HDD to be a bottleneck, you can turn on NTFS compression to try and shift more of the load onto your CPU and RAM. Just make sure you format as NTFS right away, as I've found windows laptop externals to be typically formatted as exFAT. 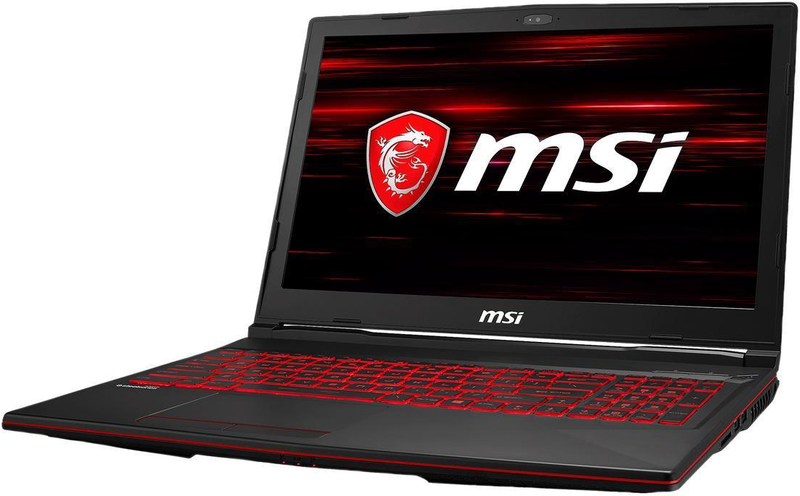 You may still want to try and search German based online stores for variants of this laptop to match your specs more closely. I hope this can serve as a good starting point if this is the case. Not the answer you're looking for? Browse other questions tagged laptop development or ask your own question.